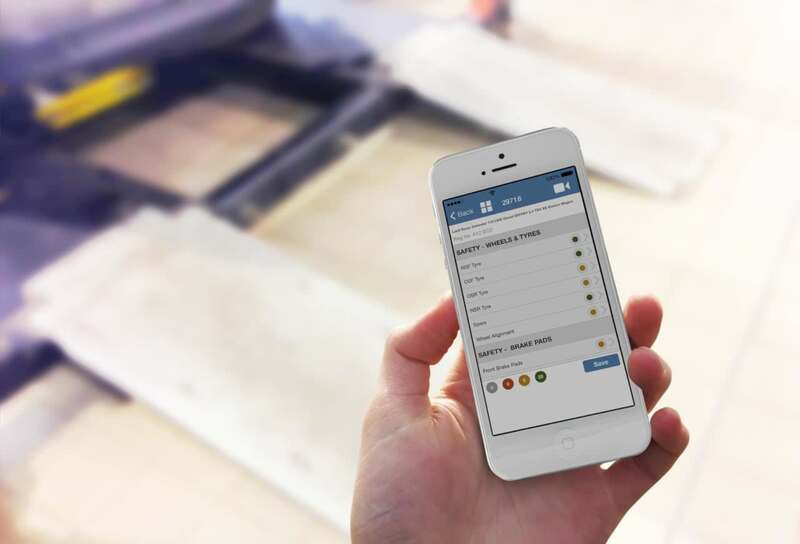 Our mobile workshop app, Tech+, links seamlessly with the workshop management module in the Pinnacle dealer management system to improve the service and repair experience. Tech+ mobilises workshop technicians, freeing them from the static workstation and opening new channels for better customer communication and the creation of sales opportunities. Technicians can use a cost-effective and robust mobile device to update their progress on repairs, carry out vehicle health checks, and prepare videos to explain any additional work they have identified. It supports instant communication between technicians and Service and Parts teams so that requirements can be quickly identified and authorised. To ensure the technician has the right information, vehicle and customer data is easily accessible, including copies of previous service invoices. One touch capture of video instantly uploads personalised messages to be sent to the customer to view and approve online. Technicians can prepare vehicle health checks to report urgent and recommended work, adding notes and measurements such as tyre tread depths as necessary. Technicians can also identify appropriate replacements for worn tyres using an integrated tyre catalogue. One touch capture of video instantly uploads personalised messages to Azure Media Services to demonstrate and explain any extra work needed. Workshop technicians can communicate directly with the Service and Parts teams for queries, pricing and customer authorisation, storing the details for reference later. This all takes place as part of an integrated process –updates to operations and work statuses are visible immediately in the Pinnacle Job Progress console, enabling dealerships to act on real-time progress. With these tools in place, real-time progress can be tracked online by the customer, enabling them to authorise any work required. Clock to jobs, operations and other work statuses with instant updates to the Job Progress console in Pinnacle and to Parts and Service teams. Use your tyre catalogue to quickly capture worn tyre details for rapid pricing. Built-in caching of details and video content to provide a robust service even when a wireless connection can’t be relied upon. Curious what we can do for for your organization?